Slag Basicity: What Does It Mean? The concept of “basicity” has been central to our understanding of slag chemistry for many decades. Traditionally, basicity has been connected to the level of networking present in a slag, acid slags having a great deal of networking and basic slag having less networking. 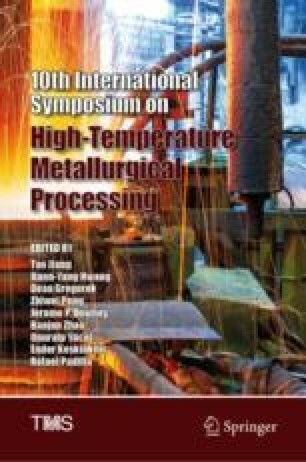 Qualitatively, this approach provides quite reasonable explanations to the viscosity of slags, their general interaction with refractories and their ability to dissolve oxidised elements from the metal/matte phase. Various quantitative measures of basicity have been proposed, such as optical basicity and the NBO/T ratio, and there have some successful attempts to link these measurements to important properties. However, in general, these measures have not been successfully linked to common thermodynamic relationships (other than empirically) or direct measurements from the plant. In industry, weight ratio’s and empirical relationships dominate the control logic of the metallurgical processes. In this paper, we will review what is the current state of knowledge of “basicity”, recent research into connecting NBO/T ratios to quantitative measurements and thermodynamic quantities and propose a way forward towards a more rigorous and useful understanding of “basicity”. This paper is dedicated to the memory of the late Dr Andrew Ducret who patiently explained the fundamentals of slag chemistry to the first author of this paper between doing experiments, playing cards in the student common room and enjoying each other’s company at the University of Melbourne in 1990. We are also grateful to conversations with Mr Lesley Beyers from KU Leuven on these topics.